Choosing the right mouthguard is essential. There are three basic types of mouthguards: the pre-made mouthguard, the "boil-and-bite" fitted mouthguard, and a custom-made mouthguard from Dr. Israel. 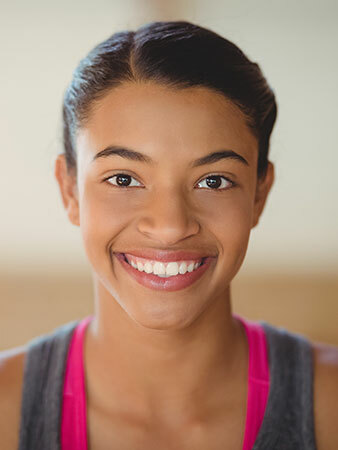 When you choose a mouthguard, be sure to pick one that is tear-resistant, comfortable and well fitted for your mouth, easy to keep clean, and does not prevent you from breathing properly. Pre-made mouthguards and boil-and-bite mouthguards can be purchased at most sporting goods stores, while custom-made mouthguards are specially designed by Dr. Israel to provide optimal protection against mouth injuries. If you wear braces or a retainer, it is imperative for you to wear a mouthguard during contact sports. Your doctor can show you how to wear a mouthguard properly and how to choose the right mouthguard to protect your smile.